This morning a Baltimore police officer was acquitted of four charges related to Freddie Gray, an African-American who died in police custody in 2015. That was just one of many recent incidents involving police use-of-force (i.e. Walter Scott, Eric Garner, Michael Brown, Tamir Rice) that resulted in a tragic and unnecessary fatality. These deaths inspired the rise of the #BlackLivesMatter movement as an attempt to raise awareness of the problem. From the start, Fox News has been dismissive, or outright hostile, to #BlackLivesMatter and it’s representatives. They pushed the insensitive and disingenuous alternative of “All Lives Matter” and labeled the black activists racists and anti-police. However, saying that “black lives matter” is no more exclusive of concern for other lives than saying “save the whales” means screw all the other marine mammals. It is just a way drawing attention to a serious problem. 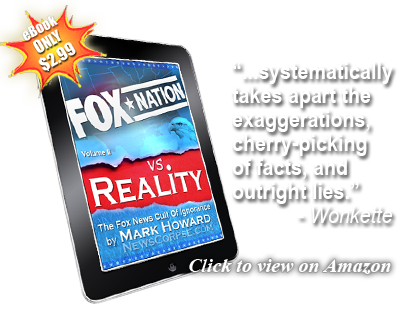 What Fox News considers to be a serious problem is the exercise of free speech by American citizens, particularly those in the entertainment industry. 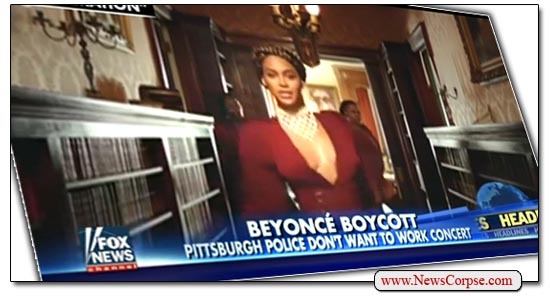 Their target this morning was Beyonce, who will be performing in concert in Pittsburgh next week. Some of her recent appearances and videos have carried the message of #BlackLivesMatter, which has drawn criticism from right-wing pundits and politicians. Earhardt’s bias was plainly stated in her opening by referring to an “anti-police message.” When she asked Swartzwelder about the looming boycott (which he said was not a boycott) he characterized it as ordinary and uncontroversial, and that officers regularly decline certain assignments such as traffic detail. Which is, of course, a ridiculous comparison. No officer has ever cited their objection to the political position of an automobile as a reason for not wanting traffic duty. While Earhardt did inquire as to whether the police “have an obligation to the people” that would “trump your feelings toward Beyonce,” she buried it under the false premise that Beyonce is against the police. The larger point is that the police do indeed have an obligation to the people. The security services that they provide are not just for the safety of the artist, but also the rest of the community. Their service ought to blind to politics and driven by a commitment to the ethical codes of conduct of their profession and their sense of duty. Officers should not have the ability to veto an assignment based on their political prejudices. You never see them refusing to provide security during a KKK rally, so why should they be able to put an artist and the community at risk simply because they disagree with a perceived political opinion? Aren’t they validating their critics? And more importantly, what does it say about those who refuse to serve? maybe because the assholes that LISTEN to what Beyonce is preaching about hurting police officers.They will blindly go and hurt a cop,and be happy for doing it.Are you guys that STUPID,that you do not see the RIGHT and WRONG,that is happenning in American society now,and for the last eight years.I am an outsider looking in,im from Canada,and have watched the choices that public officials blindly made because of a presidents view.Has american cohesiveness gotten better or worse!! !To stay the path that you are on,will only bring greater chaos,to a country already drowning .Look at what trying to westernise the middle east has done,and the UNITED STATES OF AMERICA is heading in the same direction!!!! So you’re outraged about Beyonce’s lyrics because people who hear them mighr “go hurt a cop” eh? Well no words on how those cops have actually hurt people (or killed them) that they were actually NOT supposed to at all, thus driving sentiments against them. No, a view that is not at ALL biased, not at all. 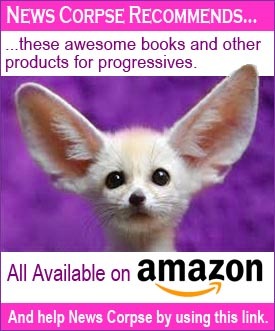 Wonder what you would be saying to those who have preached violence against PP for example and actually got their wish. And what about Muslims? Nothing about people preaching violence or intolerance towards THEM and also those who have resorted to violence against them? What about groups like the homeless and immigrants? These are all groups that the Trump has preached intolerance against, in some cases his followers have chosen to use violence against such people and not only does he condemn them or stop, no, he keeps going strong even today. And yeah you worry about the police who are armed unlike these people and groups, and who have actually caused harm either with those arms or through their authority. You’ve expressed support for Trump’s views more than once here. Canadian or no, that makes you a proper little Trumpian. I’ve watched America claw itself out of an economic depression and scale back its wars over the last 8 years. I’ve also watched the racists in America come out of hiding to oppose the black man in the whitehouse, that’s the division you claimed above. Now those racists have a new Champion in Trump, and his election threatens to not only undo all America has done in the past 7 or so years, but to promote greater intolerance, division, and yes, violence against various groups of people. And it’s all thanks to people like yourself that he has gotten to where he is. So tell me about right or wrong why don’t you? Good to see there is more pushback against the pigs-in-a-blanket movement. Not that much pushback against Trump, could be more.